Morimoto's shrimp tempura dish has as all the things that make good bar food work! 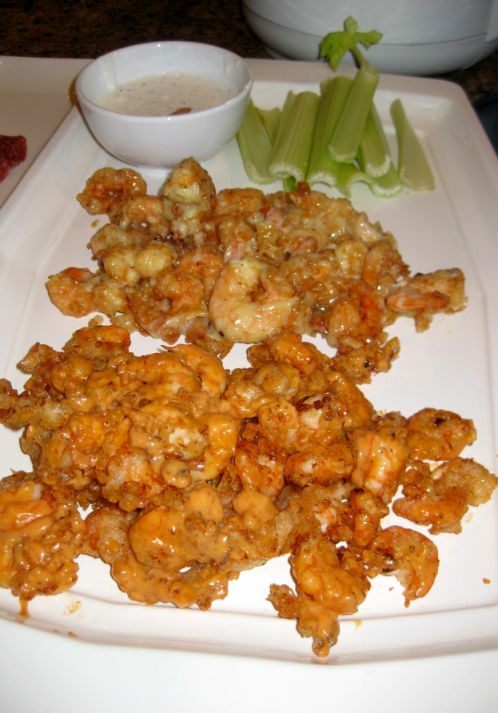 It is fried (can't go wrong with fried food), it is spicy, crunchy, and served with edible crunchy celery stick and ranch dressing to cool down your palate. 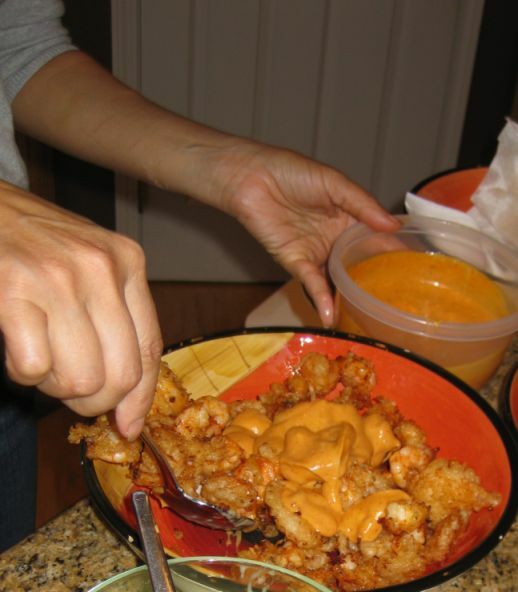 The shrimps are fried then draped in a spicy mayo, and a wasabi aioli, a concoction that feels less like "aioli" and more like a velvety brushing of peppery sweet-and-sour sauce. The secret: Grand Marnier and sweetened condensed milk. 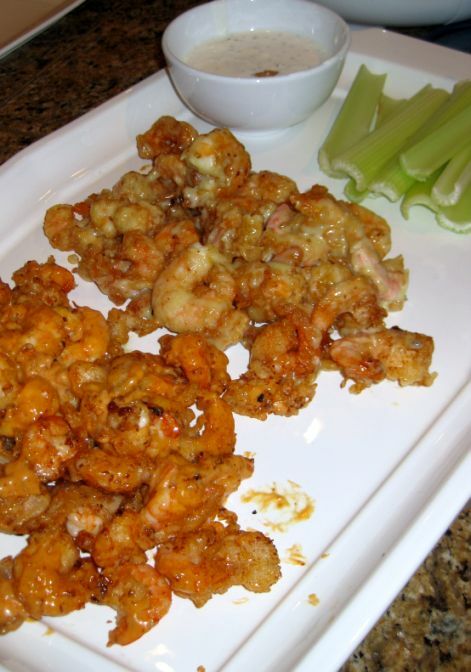 This fried shrimps are light and crispy, and served with coated with a light wasabi glaze and a ight chili glaze. You can not really see the difference in this picture but the wasabi aioli has a greenish tinge and the spicy mayonnaise is red so when you put both side by side automatically you will have people comparing and telling you which sauce they like better. This dish was on my menu to be served at my Japanese dinner but we were so full that I had to skip it. The next day I had the chance to serve it and it was a hit! Everyone love it and it was gone in a few seconds! 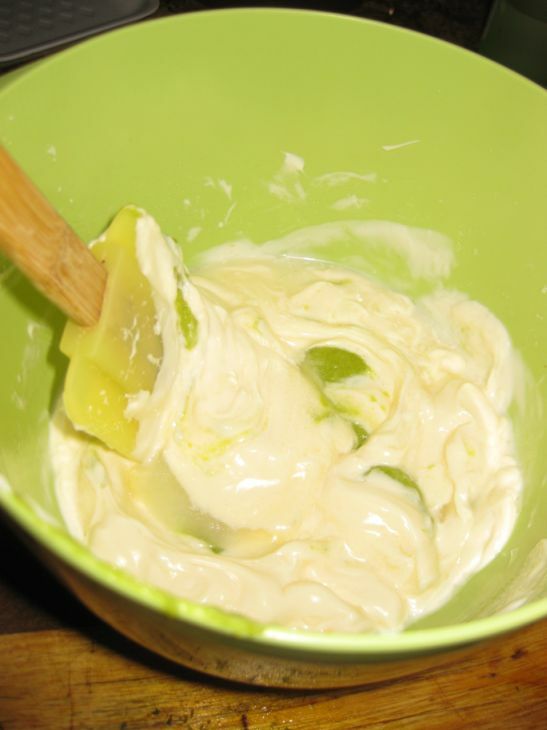 In a mixing bowl whisk together the sugar, lemon juice, and gin. 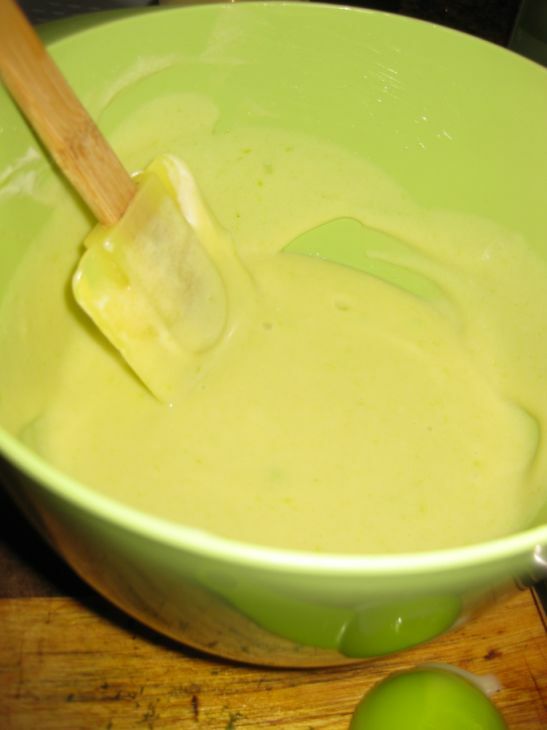 Add the mayonnaise, wasabi paste, and sweetened condensed milk. 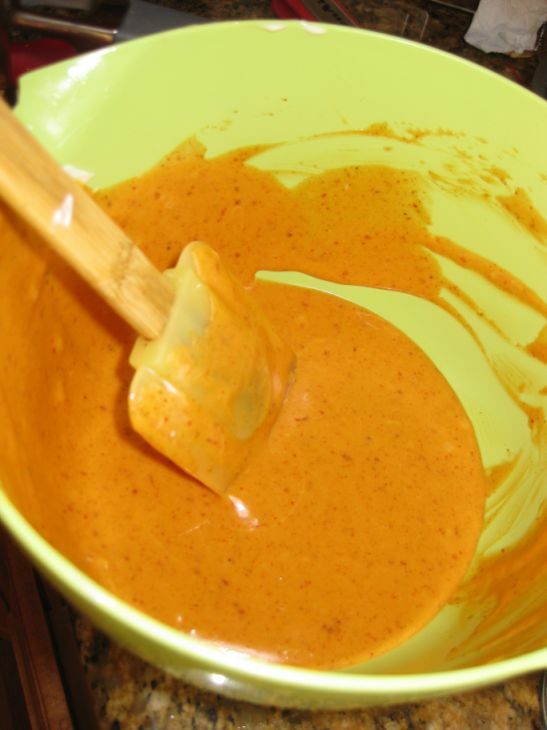 Whisk until well blended. 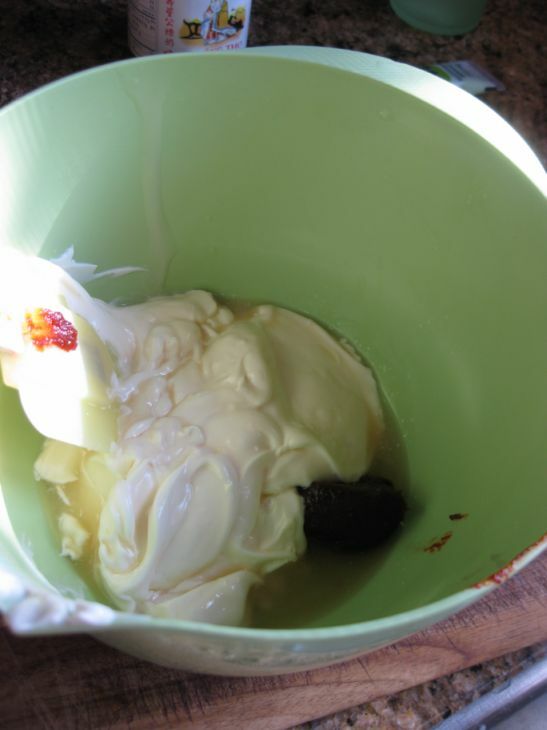 cover and refrigerate until serving time. Mix and stir until well combined. Refrigerate until ready to serve. 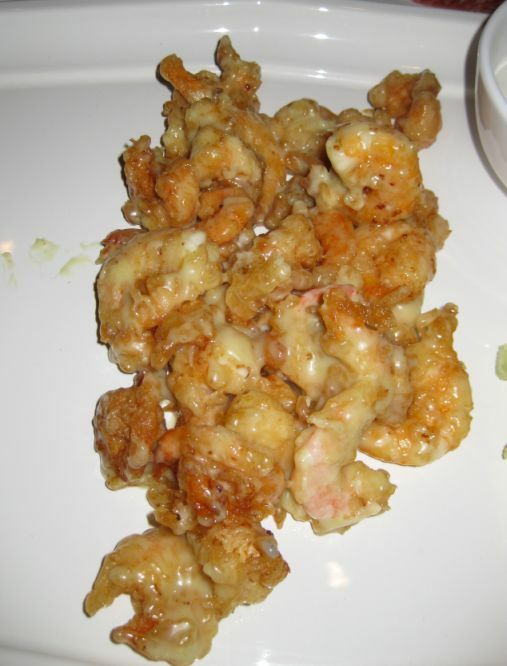 Prepare your tempura batter and add the shrimps (deveined and peeled). 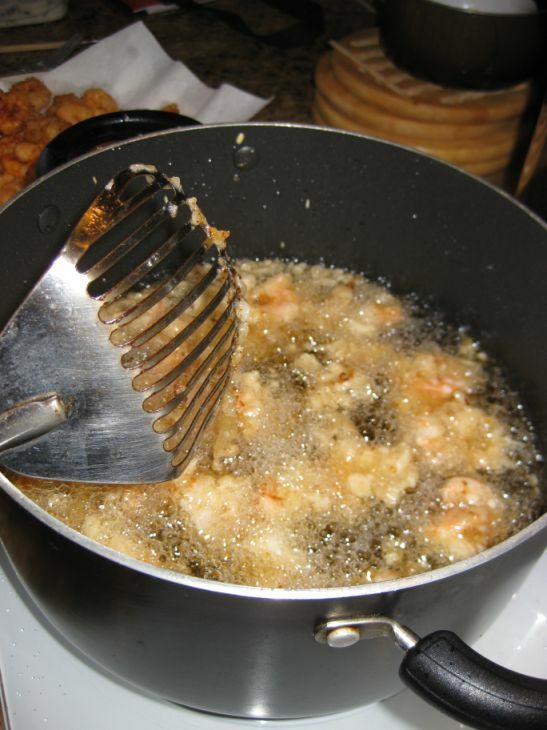 Heat the oil and fried your shrimps. 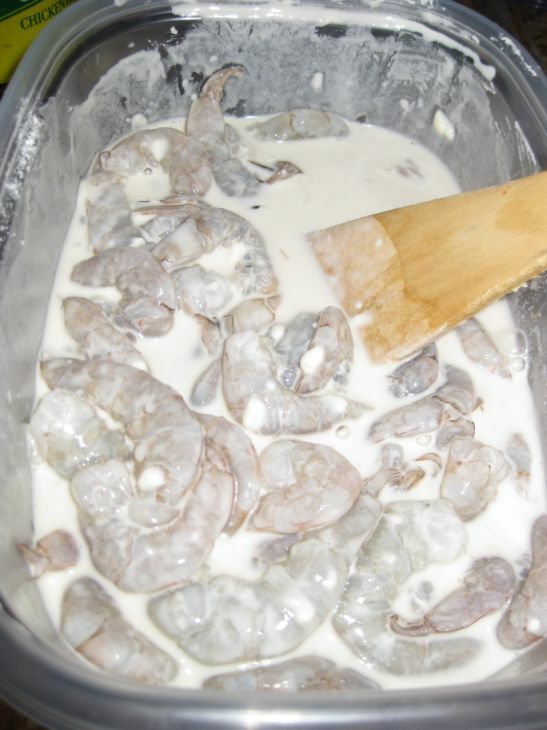 Do it batch so the shrimps are crispy! 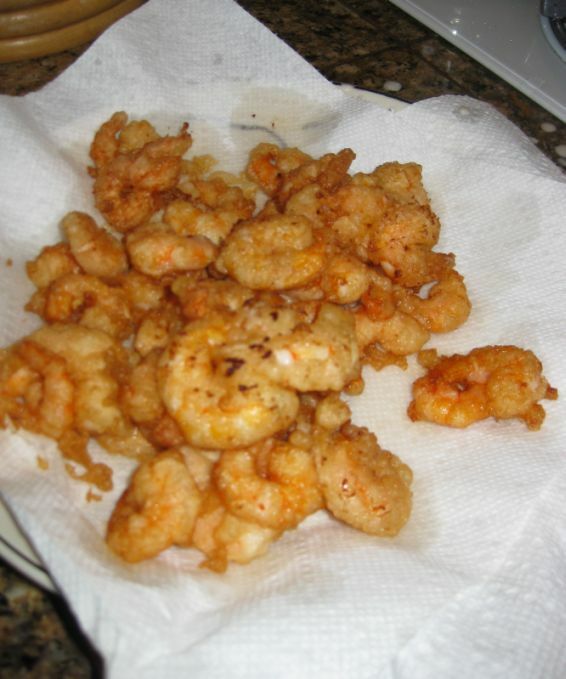 Transfer the shrimps to a plate lined with paper towels and let the paper towel absorb the oil. Do this is batches. 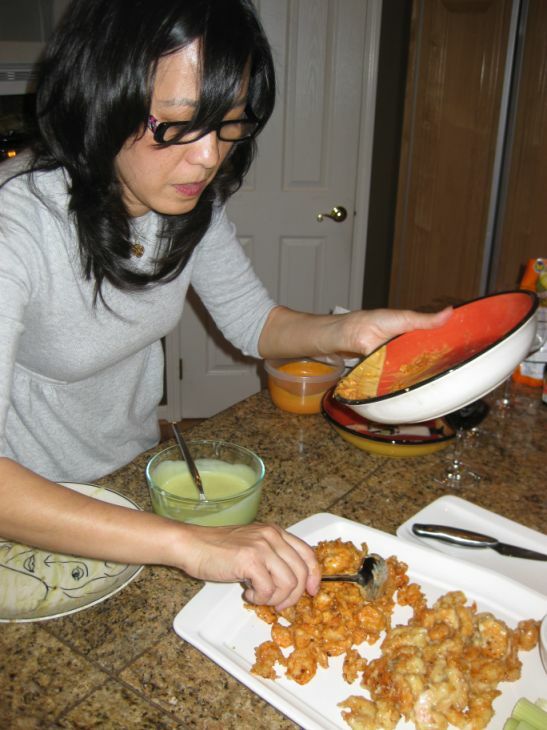 Put the first batch of fried shrimps on a plate and add the wasabi aioli. Mix well and put them on a serving plate. 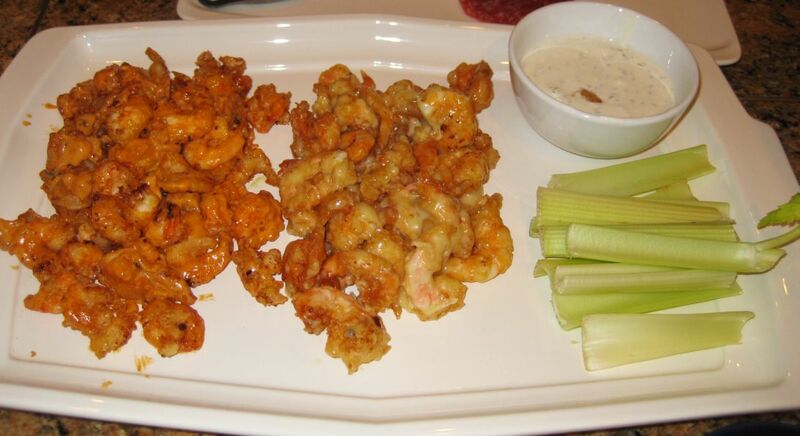 Put the 2nd batch of fried shrimp on a different plate and mix them with the spicy mayonnaise. Next, place them next to the shrimps coated with the wasabi aioli (greenish). 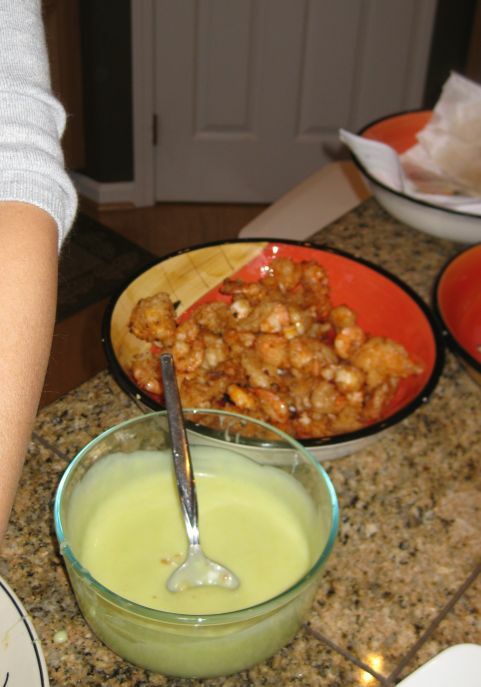 Close look at the shrimps mixed with Wasabi aioli. 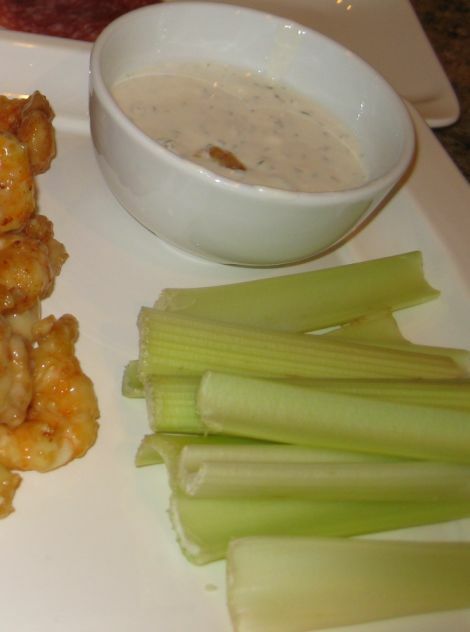 Put the ranch dressing in a bowl and place the celery sticks next to it.